Dolce and Gabbana Sunglasses are manufactured in the best traditions of Italian eyewear accessory craftsmanship and style. Dolce and Gabbana designers always strive to create sunglasses that are comfortable, beautiful and fashionable. Only by constantly achieving the right balance between trend and wearable, Dolce and Gabbana designers remain the most sought after brands. Dolce and Gabbana sunglasses come in both men and women styles. This year's marketing campaign concentrated on promoting Italian family values of love, family diversity and celebration of individual personality. 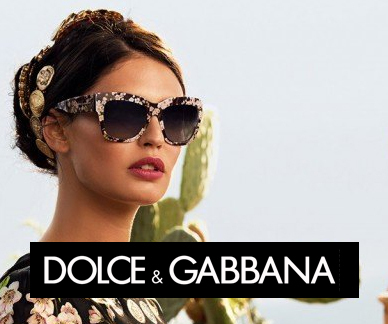 All Dolce and Gabbana sunglasses on EyeInform website are new and authentic. Buy Dolce and Gabbana sunglasses online on Eyeinform website for fast shipping and easy returns.